Joe Strummer was a British singer-songwriter, musician and actor who rose to prominence as the lead vocalist and frontman of the punk rock band the Clash. His fiery, rebellious and politicized songs contained elements of reggae, ska and rockabilly and influenced countless bands to come. Strummer also ventured into film acting and embarked on a solo career when the Clash broke up in 1986. Born “John Graham Mellor” in August 1952 in Ankara, Turkey, his father was a British foreign service diplomat. Sent to boarding school at the age of 9, Strummer developed an early interest in rock music, particularly the work Little Richard, Chuck Berry, and the Beach Boys. As a teenager, he began busking on the streets under his new stage name, “Joe Strummer”. Joe Strummer, after playing in several bands, finally joined the Clash as the lead singer in 1976. As the primary songwriter and leader of the group, he played an instrumental role in establishing the Clash as one of the most important and enduring bands to emerge from the British 1976 punk rock explosion. After securing a record contract with CBS Records, the band their eponymous debut album in 1977. Exploring issues such as unemployment, racism, social decay, police brutality, and political repression, the album received widespread critical acclaim and peaked at number 12 in the UK charts. Their third studio album, London Calling (1979), is widely regarded as one of the band’s best releases, with Rolling Stone magazine describing it the best album of the 1980s. After recording six albums and scoring various hit singles together, the Clash broke up due to personal and artistic differences in 1986. Strummer embarked on a solo career and released his first solo album, Earthquake Weather, in 1989. He also collaborated with various notable musicians and worked on a number of movie soundtracks. In 2002, Strummer died aged 50 of heart failure in his Broomfield home. He was cremated, and his ashes were given to his family. 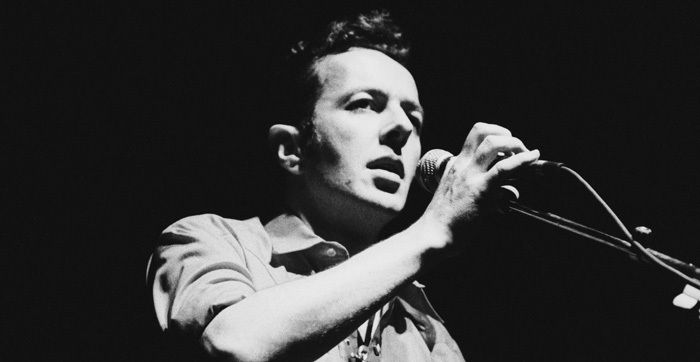 Joe Strummer won many awards and accolades as a member of the Clash, including four NME Awards, a Grammy for Best Music Film, and a Grammy Hall of Fame Award. He was inducted into the Rock and Roll Hall of Fame in 2003. Joe Strummer married Pamela Moolman in 1975. He had two daughters, Jazz and Lola, with his longtime girlfriend, Gaby Salter.